“What? 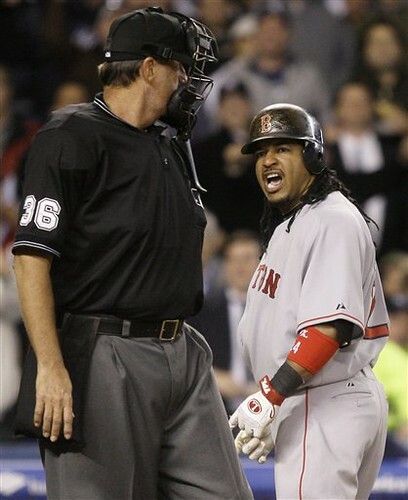 !” shouted Manny, who could have been tossed if McClelland were more like, say, Phil Cuzzi. But though Manny’s gesticulations were fierce and his mutterings mutinous, the calm, quiet McClelland allowed him to stay in the game.